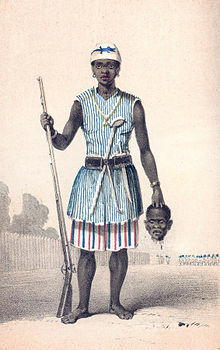 Houegbadja's son King Agadja (ruling from 1708 to 1732) developed the female bodyguard into a militia and successfully used them in Dahomey's defeat of the neighbouring kingdom of Savi in 1727. European merchants recorded their presence, as well as similar female warriors amongst the Ashanti. For the next hundred years or so, they gained reputation as fearless warriors. Though they fought rarely, they usually acquitted themselves well in battle. The group of female warriors was referred to as Mino, meaning "Our Mothers" in the Fon language by the male army of Dahomey. From the time of King Ghezo (ruling from 1818 to 1858), Dahomey became increasingly militaristic. Ghezo placed great importance on the army and increased its budget and formalized its structures. The Mino were rigorously trained, given uniforms, and equipped with Danish guns (obtained via the slave trade). 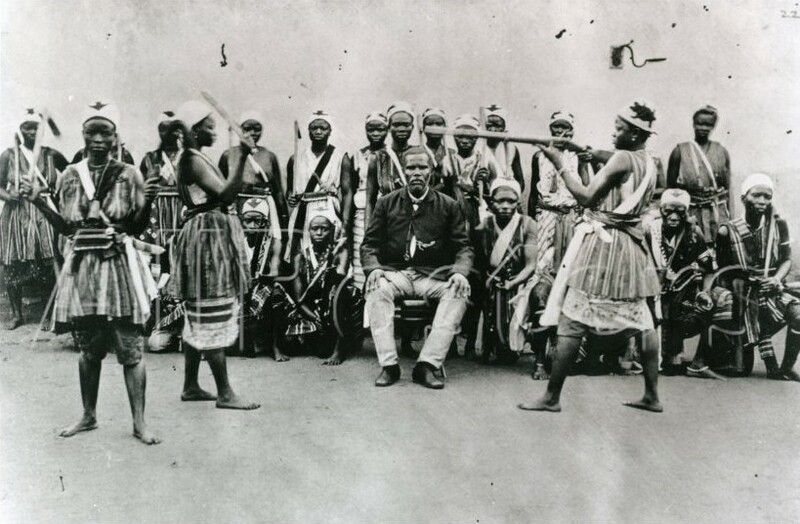 By this time the Mino consisted of between 4000 and 6000 women, about a third of the entire Dahomey army. The Mino were recruited from among the ahosi ("king's wives") of which there were often hundreds. Some women in Fon society became ahosi voluntarily, while others were involuntarily enrolled if their husbands or fathers complained to the King about their behaviour. Membership among the Mino was supposed to hone any aggressive character traits for the purpose of war. During their membership they were not allowed to have children or be part of married life. Many of them were virgins. The regiment had a semi-sacred status, which was intertwined with the Fonbelief in Vodun. The Mino trained with intense physical exercise. Discipline was emphasised. In the latter period, they were armed with Winchester rifles, clubs and knives. Units were under female command. Captives who fell into the hands of the Amazons were often decapitated.